Ryan Holle is serving life without parole in Florida for a crime committed by someone else while he was at home in bed asleep. Ryan Holle loaned out his car to one of his friends who used the car to commit a burglary. The men involved in the burglary murdered 18 year old Jessica Snyder during the commission of the crime. The State of Florida says Ryan Holle is guilty of loabing a car to his roommate and is therefore guilty of the murder. See this outlandish story and many others in Lawless America...The Movie. Ryan's friend and some others went to a local weed dealer’s home to steal marijuana and money from a safe. As a result, the law allowed the prosecutor to charge Ryan – who was not present at the burglary and had no way of knowing a murder was going to occur since it was not a planned event – with felony murder. 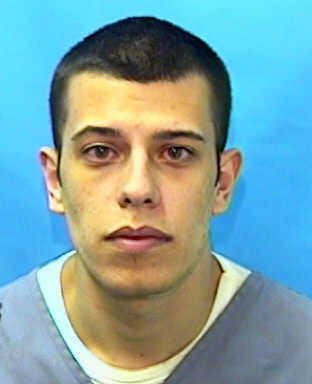 Ryan Holle is currently serving his time in the Graceville Correctional Facility in Graceville, Florida. He has been there since 2004. Without intervention, he will spend the rest of his life behind bars. To date, ONLY three states have abolished the felony murder rule completely. Lawless America and The Revolutionary Party call for the Felony Murder Rule to be abolished in every state and for all those convicted under this inhumane, Unconstitutional law to have their convictions vacated. For more information, see www.RyanHolle.com.